Clean Slurry provides the best solids separation available. We maintain a fleet of rental equipment, and sell systems built to order. 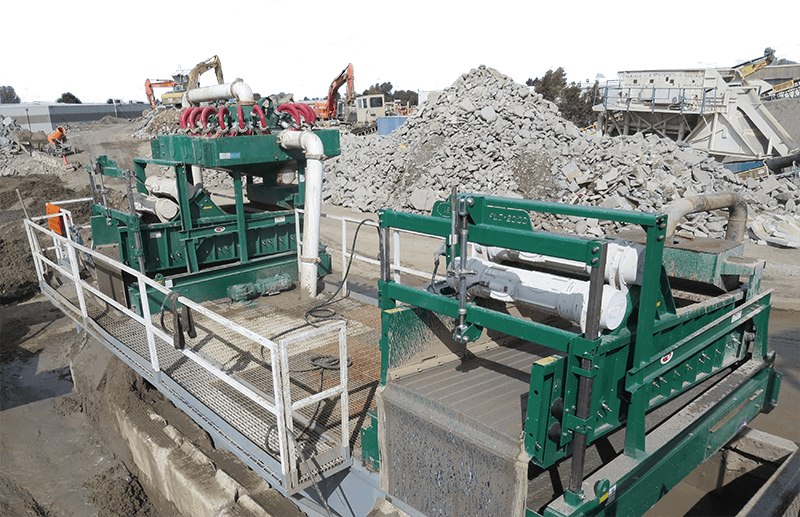 We work with our customers to optimize the solids separation process and have removed solids as fine as 0 – 5 microns on standard equipment. In many cases, customers can discharge effluent water into the sewer or storm drain without additional treatment. Clean Slurry understands that our civil customers cannot always control their operating conditions and we’re ready to provide flexible solutions. When your site layout is irregular or requires a compact setup, we’ll work in whatever space you’ve got. If the solid cuttings or slurry makeup changes, we’re ready to rescreen and change the polymer blend. When you have any suspended solids that you don’t know what to do with, we have answers.